The colors black, white and gray are achromatic colors, without color hue. They are the opposite of a pure color. And they are also the colors near the black or white tones. We have a wide range of neutral colors that is gradual. Since the whites mixed with a minimal amount of color, until the blacks with a touch of color, passing through all the grays. These are the sum of black, gray or white with a pure color (such as purple, blue, green, yellow, orange or red) and from them its beauty is born. 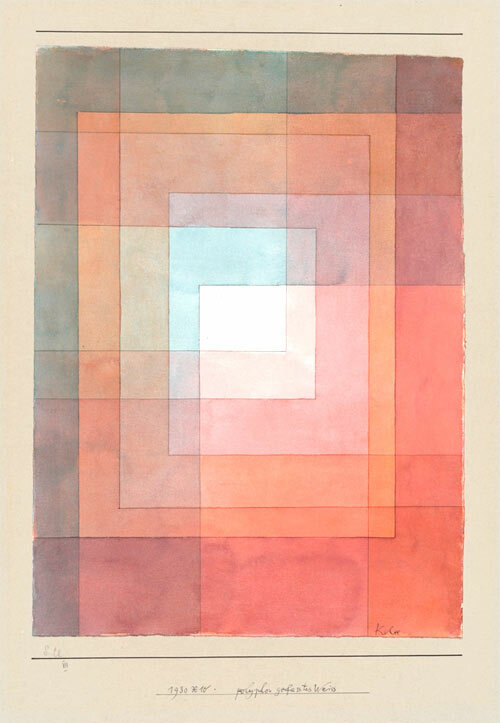 Paul Klee uses neutral colors in his worart “Harmony geometric“, painted with watercolor, he did it adding some complementary color and cerulean blue to the deeper tone. 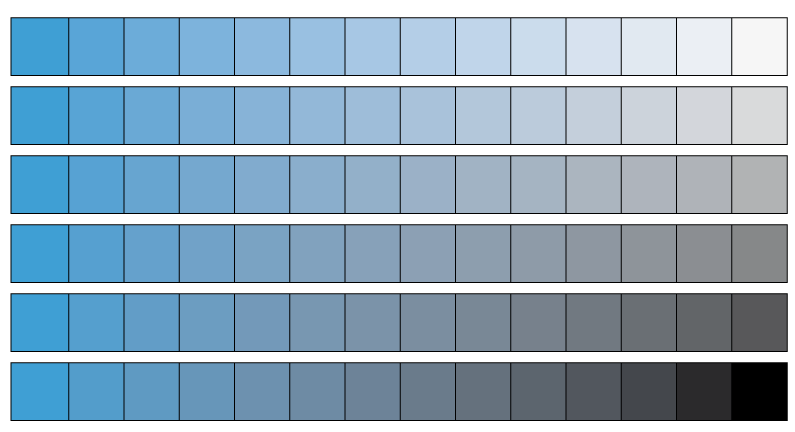 Lighter tones are generated by mixing the color with water. 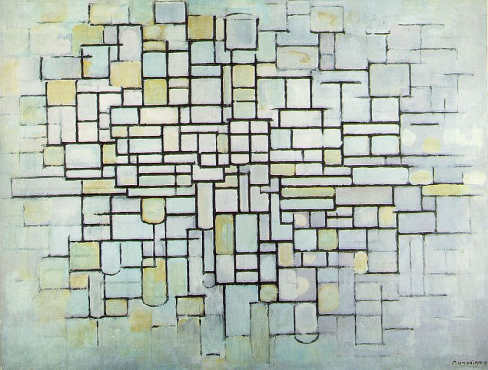 Another example of neutral colors in this oil painting by Mondrian , with many gray colors with some amount of yellow. This kind of colors have a very passive kind of expressiveness. That is why they are called neutral, they are not by themselves too exciting or connotative. At the same time, as everything express and generates sensations, within a picture and a composition, they can bring great wealth and generate strong feelings. A painting can be very static and boring with everything gray, but if we add inside the tone gray a little violet, red or green, it will get the character of the color and it will remains so passive as how much gray it contains. So, the neutral colors are used to coloring in a less expressive way, to calm the expression. Nature is full of tones that go towards white or towards black, and we are used to see things like this. Because if everything were pure colors, the reality would be very shrill and exhausting. The offset is relaxing, it´s balancing expression and provides stability. 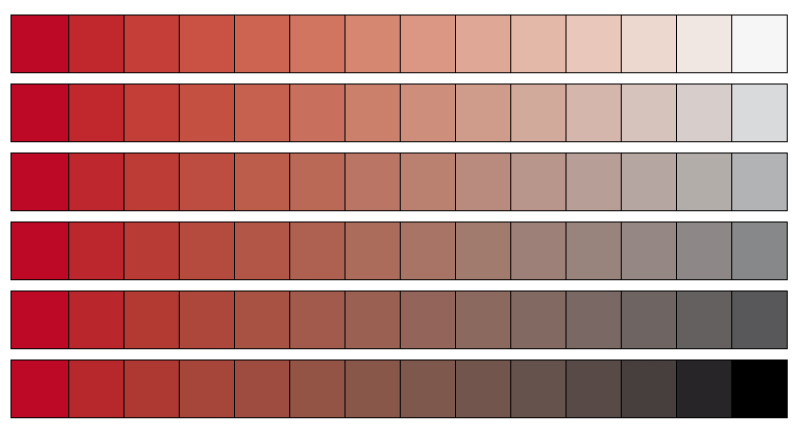 The expressiveness of neutral colors depends on two factors, the small amount of another color that it can have, and the expressiveness that has the light, it means, the lightness or darkness. How to turn off the colors and how to select colors for our work? Many times the light of the picture is gong to be distribute all the neutral colors, but in the abstract works, or other compositions of modern design, we can go to a color chart to select them. If we want to get a kind of serene expression, very peaceful or even very somber, we will do it by adding black and white to our palette of colors. In addition, all colors are influenced by the colors around, and neutral colors are like beings without character. A bright red or deep green will influence a gray color and will give him expression.